Spot the difference puzzles have been around for many years now and come in different levels of difficulty, so that it is possible to find puzzles that are suitable for all ages, from quite young children to senior citizens. Classed as a game of logic or a brain teaser, spot the difference puzzles require patience and attention and so are a great way to teach children such skills as thinking logically, making decisions and paying attention to the task at hand. They are also helpful later in life for keeping the brain active. The concept of course is very simple. You start with a single image and then make a copy with several changes. For example, you add items, remove items, reposition items or re-color items. A picture might therefore gain a cat, lose a dog, have a chair moved from one side of the room to another, and have a boy’s t-shirt changed from red to blue. The changes between the two images can range from fairly easy to spot for younger children, to very subtle and extremely difficult to find for grown ups. The object however is not to defeat the puzzler, but to provide a challenging experience which exercises the brain and is also great fun. 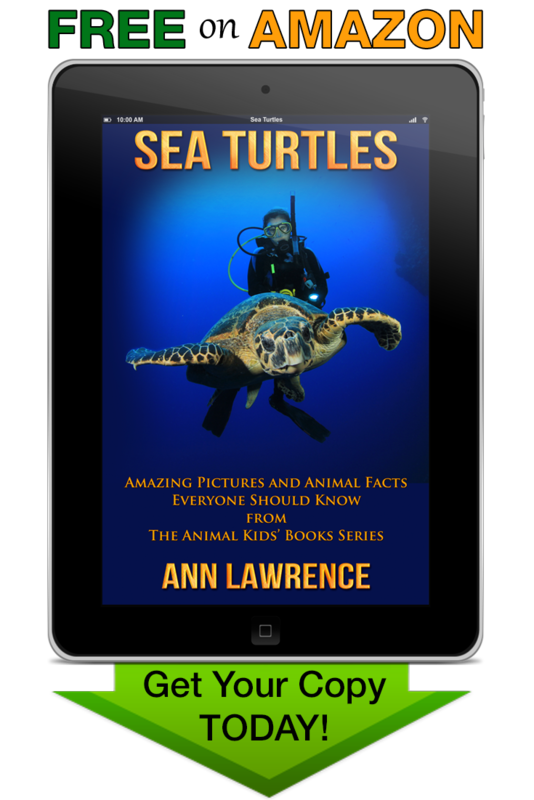 One of our authors, Kenneth Quinlan, started by creating a set of spot the difference puzzle books for kids, which proved to be extremely popular. These books were issued in black and white to keep prices down but, in response to customer feedback, the whole series has now been re-issued in full color. Kenneth has now moved on and is currently working on a set of adult spot the difference books, which are based upon some of the world’s greatest works of art. 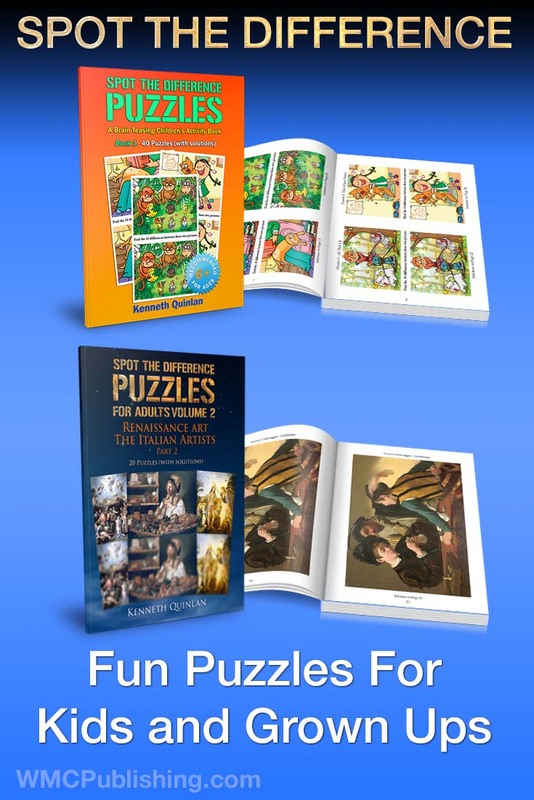 Currently there are 4 books in issue featuring the works of the Italian Renaissance artists. 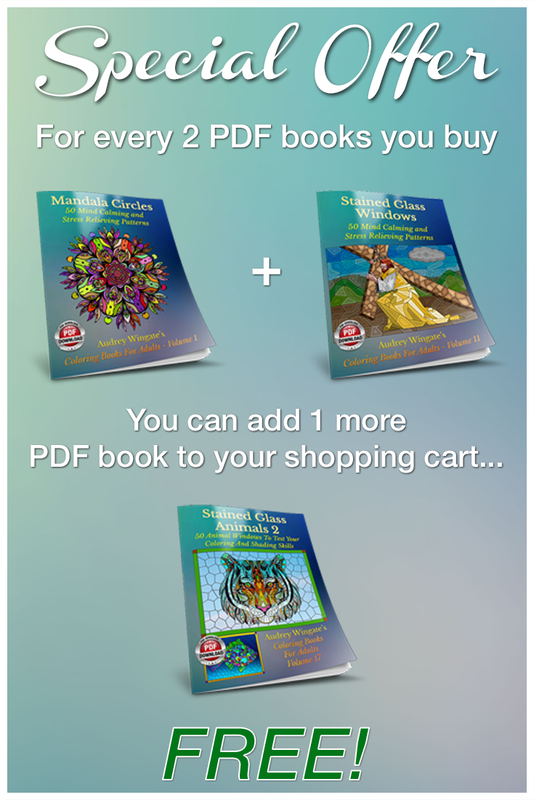 These books are available in print, pdf and kindle versions through our bookstore, where you will also find free samples for both kids and adults.